To explore these virtual reconstructions you will require a VRML plug-in. There is a free plug-in available from ParallelGraphics and is easy to install. Follow the instructions below to begin. 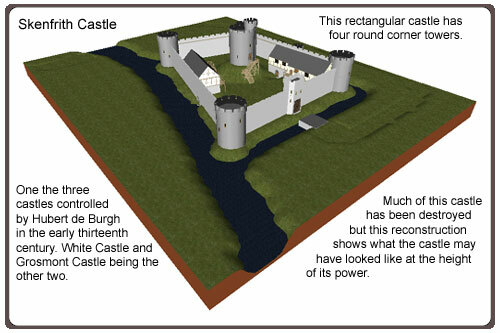 Please Note: Although these reconstructions are based on ground plans they are not guaranteed to be accurate but have been designed to give a idea of what the castle may have looked like. Many of the castles do not look like this now. A plug-in is required to view VRML models. See the instructions on installing and using the VRML plug-in. Help on navigating VRML worlds. Please confirm that you want to view and walk around the virtual building.